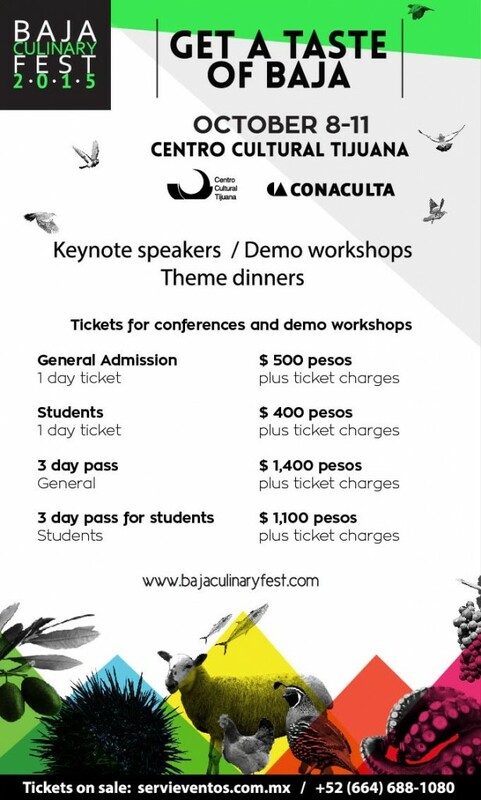 The Fifth Baja Culinary Fest is set for Thursday, October 8 through Sunday October 11 at CECUT (the Tijuana Cultural Center) in Tijuana’s Zona Rio District. 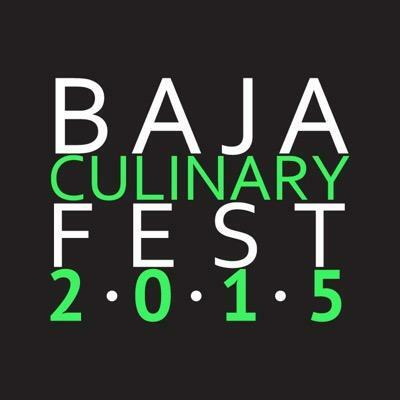 The festival will bring together many of the greatest and most prominent creators, producers, restaurants, chefs and wineries of the new Baja culinary movement (sometimes called “BajaMed”). In addition to serving as an opportunity for industry professionals and culinary schools, it will bring together the best of Baja and provide entertainment for the foodies of our region. The festival will kick off on Thursday, October 8th with a gala dinner highlighting the pioneers of Baja cuisine and those who have made history with their iconic restaurants. Current regional Chefs will be invited to interpret the heritage of each of the pioneer honorees with a series of dishes giving a contemporary to classic cooking with a twist. 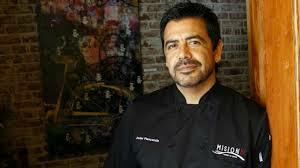 Saturday, October 10th will start with a call to action by the Monterrey Bay Aquarium with discussing their Seafood Watch program in a talk called “Your choices make the difference.” The day will also feature workshops by Chef Daniel Ovadia of Paxia and Darren Walsh, known for his edgy cuisine at Lulabistro. A feature of the day will be the “Alta California meets Baja California” moderated by Bill Esparza, with Carlos Salgado of Taco Maria, Eduardo Ruiz of Heart and Honey, Ray Garcia Broken Spanich, Wes Guerrilla Avila, Miguel Angel Guerrero of La Querencia, Luisteen Gonzalez of Puesto and Javier Plascencia of Mision 19 and Bracero, discussing the cultural fusion of culinary themes in the region. Sunday, October 11th will be highlighted by a “Dialogue between grape producers” featuring special guests from both Napa Valley and the Valle de Guadalupe. It will also feature a special conference entitled “Veracruz, the port of culinary fusion” by Chef José Burela. 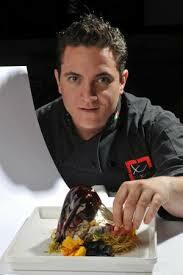 Chef Burela, born in Puerto de Veracruz, is a pioneer, scholar and great supporter of the culinary arts. He is also the Director of the Culinary Graduate School Le Chef College, who has led the traditional Veracruz cuisine on an international level.